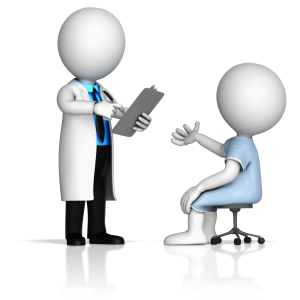 When writing for your website, write to a patient persona. The patient persona is an avatar, is one person and is your perfect patient. Close your eyes and write as if your perfect patient were seated right in front of you. Your writing will be easier, more engaging and more valuable. Physicians often lecture. Physicians are often addressing a larger audience. 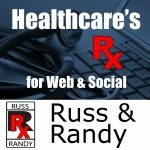 When writing an article for your website, Russ and I recommend writing to a single person, also known as a patient persona. Writing as if you are addressing a single person, one on one, and not as if you are addressing an auditorium full of people. The importance of a patient persona is that it defines your own personal “perfect patient.” Your patient persona has certain qualities and distinct concerns. By writing to an avatar, your writing becomes more personal. It will seem to your reader as though you are speaking directly to them, in a manner in which they understand and you are addressing their concerns. Your writing becomes more relevant, educational and engaging…just like your one on one conversations in the office. Readers of your website are usually alone. It took me a long time to understand and appreciate the value of writing as if to one particular person. Once I did, however, my writing became much better because it was more directed, and hence, more valuable to my readers. As a retina specialist, my patient persona is someone who is rapidly losing vision, worried about going blind, needing eye surgery and wonders if glasses will help their vision. I keep these concerns in mind when writing. By the way, writing in the point of view of the first person and to your patient persona optimizes your ability to engage your reader. Russ is a pediatric ENT doctor. His avatar is slightly different than his perfect patient. Russ’ patient persona is the parent of a child with an ENT problem. Listen how Russ’ traffic increased once he started addressing his patient persona. This may take some research, but it’s worth your time and effort.